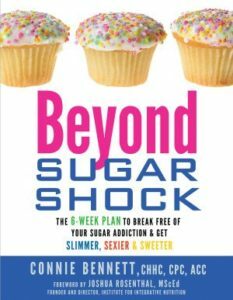 More than a decade ago, I was a huge sugar addict, carb junkie, night owl and frazzled, overworked journalist. 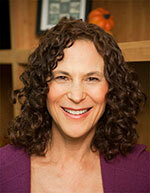 My once-awful eating and lifestyle habits were pivotal, life-changing catalysts. 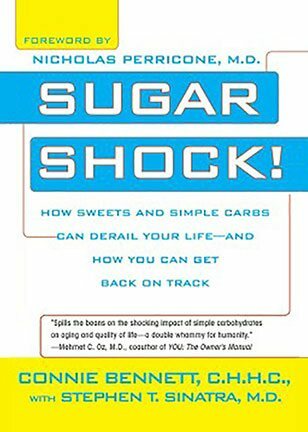 Because I gorged on so much carbage (carb garbage) and sweets, I eventually took an exciting adventure to become a health expert, The Accidental Sugar Liberator™, The Sweet Freedom Coach, and author of two bestselling books, Sugar Shock and Beyond Sugar Shock. Now, I’m also recognized as The Rebound Ninja™ and author of the upcoming book, I blew my diet! Now what? My unexpected transition from brain-fogged, wiped-out, sugar-addicted journalist to bestselling author, wellness advocate and motivational speaker came about because I hit rock bottom. Although I wasn’t overweight — only five pounds more than my goal — I just couldn’t get enough of red licorice, hard candies and small, refined crackers. I desperately needed my legal sugar or carb “fixes” so I could meet my many article deadlines. Finally, I found the doctor, who pieced it all together. Soon after learning about my double-digit ailments, my huge sugar and carb consumption and my horrible cravings, my new M.D. delivered his diagnosis. “You have severe reactive hypoglycemia,” he concluded. With weeks, all 44 of symptoms vanished. I felt reborn, excited and energized. Almost overnight, I became driven and determined to discover The Sour Scoop about Sweets. 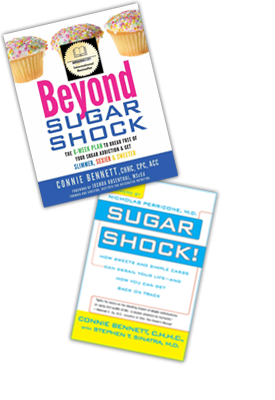 While letting go of sugar — which admittedly wasn’t always easy — I began to create easy, effortless, powerful tools to quit the sweet, dangerous stuff. Impressed by my ability to kick the sweet stuff, people soon began asking me my Secrets to Let Sugar Go. That led to my coaching, guiding, and inspiring thousands of people worldwide, and eventually, I became recognized as The Sweet Freedom Coach. In late 2006, my first book, Sugar Shock: How Sweets and Simple Carbs Can Derail Your Life–And How You Can Get Back on Track, was published (Berkley Books). Dr. Stephen T. Sinatra was contributing author, and Dr. Nicholas Perricone wrote the foreword. Thankfully, many world-renowned experts praised it, including such luminaries as Dr. Mehmet Oz, Dr. Mark Hyman, JJ Virgin, and actress/author Marilu Henner. 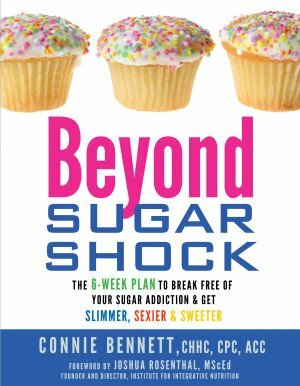 Then, in 2012, after a decade-plus of helping sugar addicts and hosting The Sugar Freedom Course, my next book, Beyond Sugar Shock: The 6-Week Plan to Break Free of Your Sugar Addiction & Get Slimmer, Sexier & Sweeter (Hay House), quickly became an international bestseller. 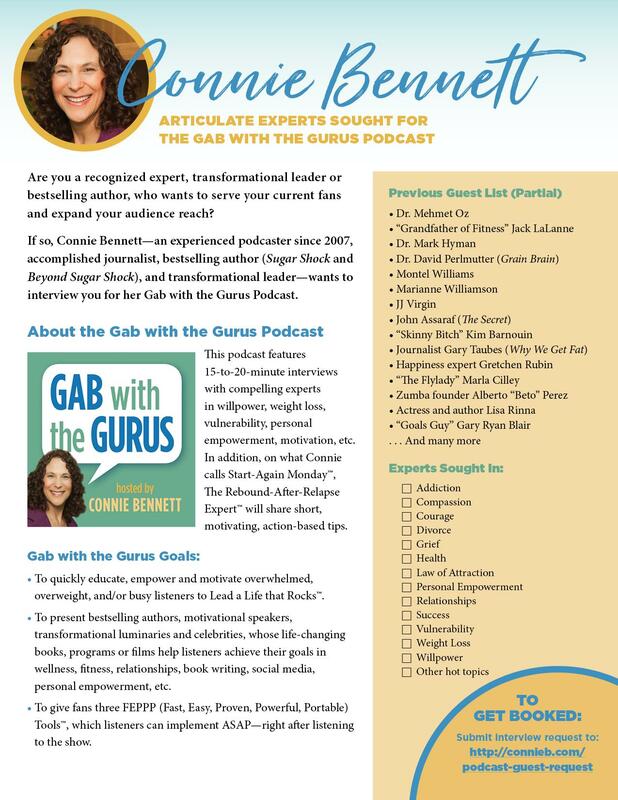 I was thrilled when it was endorsed by Dr. Wayne Dyer, Dr. Christiane Northrup, Dr. Daniel Amen, Bernie Siegel and many other health and empowerment heroes. But in late 2012, after years of walking my Clean Carbs Talk, I had a massive Carb Relapse. It was excruciating painful. After losing my Mom, my heart was breaking, I was bombarded by persistent stress, I got walloped by PTSD (Post-Traumatic Stress Syndrome), and I was struggling with the aftermath ofher (inadvertent but massive) abuse and betrayal. For months after that heartbreaking time — while struggling with depression, anger, confusion, jumpiness, nightmares, insomnia and concentration issues — I was attacked by the most horrible Crazy Cravings. That led to my pigging out on on processed carbs (not sugar) for months and gaining 21 pounds. I was so embarrassed. Eventually, after grief support groups, lots of therapy and healing workshops, I realized that I could put my Crazy Carb Cravings to good use. They ultimately became my great teachers. Fast forward six years. 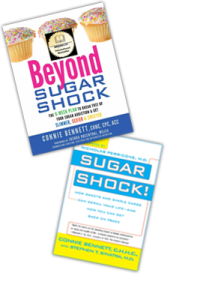 At last — after finally shedding my excess weight and recovering from other scary health issues — I’ve finally emerged stronger, slimmer and determined to help you Crush Your Cravings for unhealthy junk foods filled with sugar, carbs, fat or salt. Now, every week, I’m here to inspire, motivate and encourage you with motivating Start-Again Monday posts here on my blog. In addition, I often post inspiring Shareable Images or Cartoons, which you’re invited to share with friends, colleagues and loved ones. I’m also developing other ways to help you . I’m completing my next book, I blew my diet! Now what? I’m about to unveil my new Crush Your Cravings System. 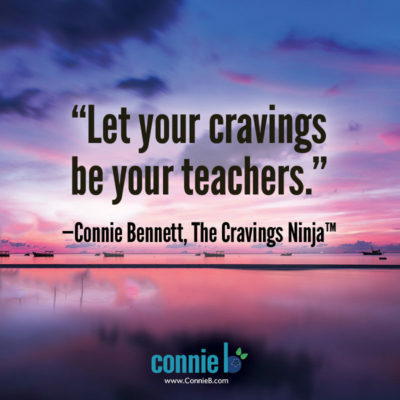 And I’ve created a free download that gives you 3 Super-Simple Secrets to Crush Your Cravings. Get it here. As for my background, I’m also an experienced journalist, who has contributed to or been written about by many websites and publications such as AOL News, HealYourLife, eDiets.com and The Chicago Tribune. 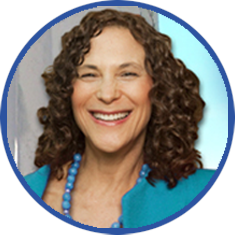 Since I’m committed to coaching people to Sweet Freedom, I’ve become a certified life coach with the Institute for Professional Excellence in Coaching (iPEC), a certified health coach through the Institute for Integrative Nutrition (IIN), and a tapping practitioner through the Association for Comprehensive Energy Psychology (ACEP). Subscribe to my blog so you’ll get provocative, helpful, inspiring posts. Connect with me on Facebook, follow me on Twitter, or add your comments to this blog. Get your free Cravings-Crushing, Quick-Start Guide here. All sounds so wonderful and well thought out.Thank you. Would like to read this book of Connie’s please. I keep falling off the sugar wagon. I have severe COPD, plus other health issues, and know that sugar and sugar substitutes are the core cause of my poor health. I’m 77 years old, live alone and am isolated because I simply don’t have the energy to go out and develop friendships. Whenever I can muster the will power to avoid sugar and other carbs, I feel so much better. However, I can’t do it alone and the diet plans that are out there don’t work for me. I need help. I’m thinking of other ways to help people like you who feel so alone.